Donna R. Dorn, 80 of Jefferson, died peacefully on Friday, May 11, 2018 at Alden Estates of Jefferson. Donna was born on September 6, 1937 in Watertown, WI, the daughter of Maurice and Margie (Leedle) Courtier. 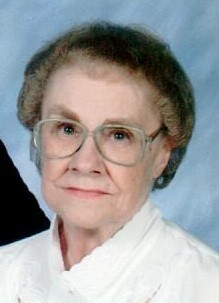 She is a graduate of Jefferson High School and on September 15, 1956, she married Harlan Dorn at St. Peter’s Ev. Lutheran Church of Helenville. The couple had 4 children. Outside the home, she worked for 4 years at the Dairy Herdsman Improvement Association as a Lab Tech. She also was employed at St. Coletta’s School for 32 years as Secretary to the Adult Program, Travel Coordinator, and Receptionist at the main desk. Later she spent 9 years as Receptionist at the Fort Atkinson Senior Center. Donna was a loving wife and mother, a hard worker, and a dedicated friend who will be missed. She is survived by: her Husband Harlan Dorn of Jefferson; Children Thomas of Fort Atkinson, Timothy (Robin) of Milford, Tamara (Mark) Mayfield of Seattle, WI, and Teresa (Patrick) Kelley of Madison; 5 grandchildren and 1 great-grandchild. She is also survived by a number of nieces, nephews, other relatives and friends. She is preceded in death by her parents and her Sisters Mary Jo Stasch, Diane Simdon, and Judy Courtier. The family wishes to express a heartfelt thanks to the entire staff of Rainbow Hospice, especially Sara, Barb, Jan, Kathy, and Amanda for the loving care provided. A private family graveside will take place at St. Peter’s Evergreen Cemetery.